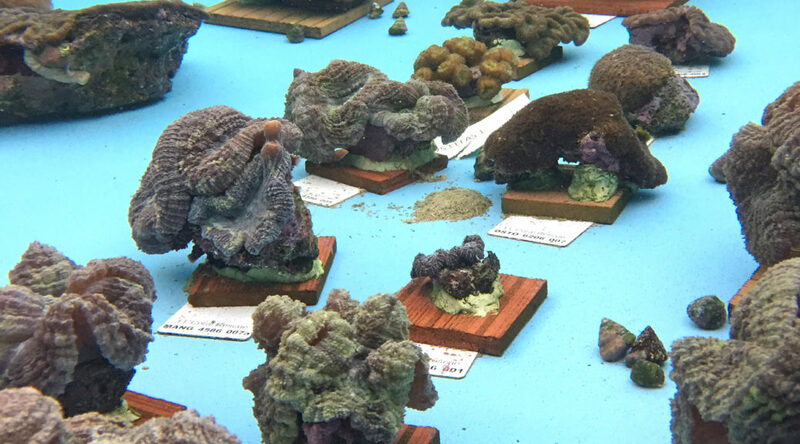 Last month, 90 corals were transferred from Keys Marine Lab (KML) in Marathon, FL to their new home at Florida Aquarium’s Center for Conservation (FLAQ) in Apollo Beach–in response to the Stony Coral Tissue Loss Disease event currently affecting the Florida Reef Tract. This transfer frees up space at KML to allow for upcoming rescue collections. FWC’s Black Bass Management Plan (BBMP) committed FWC to work with stakeholder groups to mitigate negative public perceptions of club-level bass fishing tournaments. Negative perceptions identified included bass mortality, crowding at boat ramps and poor boating and angling ethics by some tournament anglers. Stakeholders also expressed positive perceptions of bass tournaments through the BBMP including promotion of fishing as well as teaching ethics and stewardship. Regardless, bass tournaments can be very high profile with potentially hundreds of club tournaments occurring in Florida waters each week throughout the year. 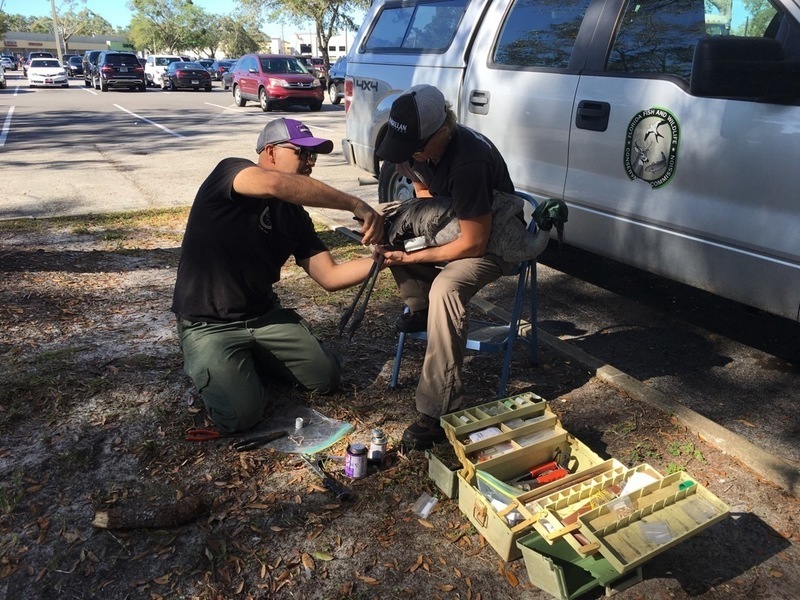 FWRI biologists working with Division of Freshwater Fisheries staff are working to better understand and mitigate bass mortality caused by bass fishing tournaments through several projects. 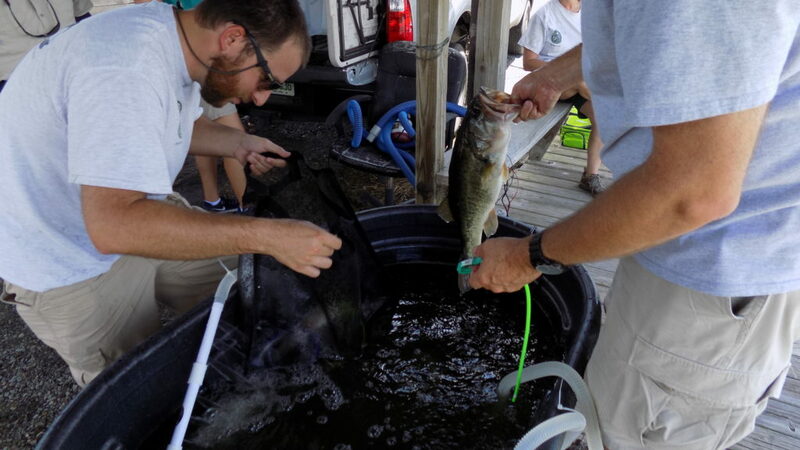 The Summer Bass Tournament Live-Well Study was initiated to assess live-well water quality conditions during summer tournaments when bass are most susceptible to mortality due to warmer water which holds the least amount of oxygen. Study objectives are to 1) educate bass tournament anglers about live-well water quality conditions during summer tournaments, and 2) further refine FWC’s fish care guidelines for best live-well management practices under conditions specific to Florida. During year one of a three summer study, FWRI biologists assessed water quality conditions at club-level tournaments (10-30 participating boats) based on anglers preferred practices. 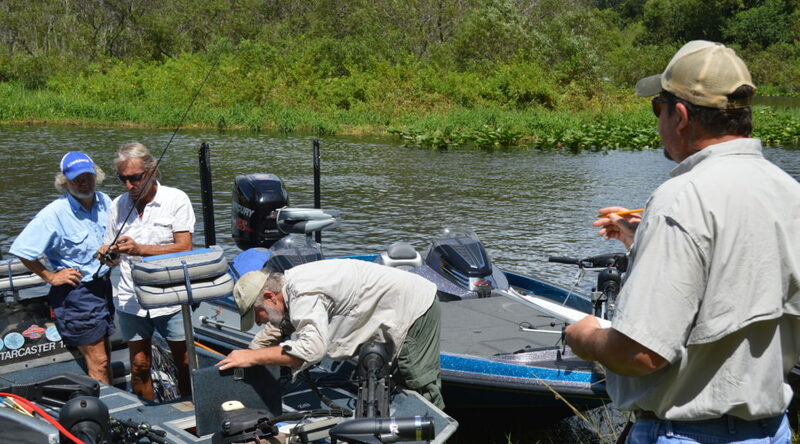 In year two, biologists prescribed specific live-well management practices to random tournament boats and evaluated the resultant water quality conditions. 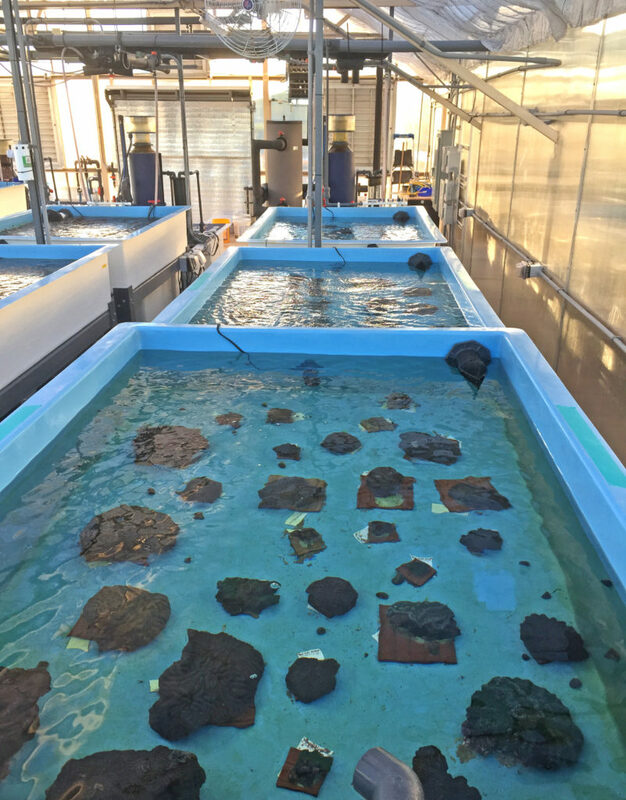 In year three, biologists ran controlled experiments with wild caught fish acclimated to hatchery conditions under three varying management practices. Through controlled experiments, blood stress parameters in bass exposed to these management practices were measured, and a post tournament mortality assessment was conducted. Year one results, focused primarily on temperature and dissolved oxygen (DO), confirmed that competitive anglers manage their live-wells in a variety of ways resulting in a wide range of water quality conditions. During year two, anglers were assigned specific live-well management regimes which included flow through only (near constant exchange of live-well water), fill and recirculate only (no exchange of water once filled), and fill and recirculate with one exchange of water midday along with the use of salt and ice. Year two results, more intensive and including more water quality parameters, suggested that anglers were reasonably able to maintain adequate levels of DO while minimizing the buildup of ammonia and carbon dioxide in live-well water. During the summer months, when lake surface temperature can exceed 30 °C, it is critical that those holding fish in captivity to manage live-wells conditions to maintain or even stimulate the recovery of bass during the period of confinement. FWC staff takes a blood sample from a bass. During year three, biologists repeated year two studies with wild-caught bass held in the research tanks at the Florida Bass Conservation Center where they underwent a simulated angling event prior to being placed in controlled condition live-wells representing the three management regimes. Stress parameters of glucose, lactate, cortisol, chloride, and osmolality in blood plasma were sampled both pre and post live-well confinement to assess the effects of the live-well environment on bass physiology. Finally, all bass were assessed for a seven-day period for post tournament mortality. 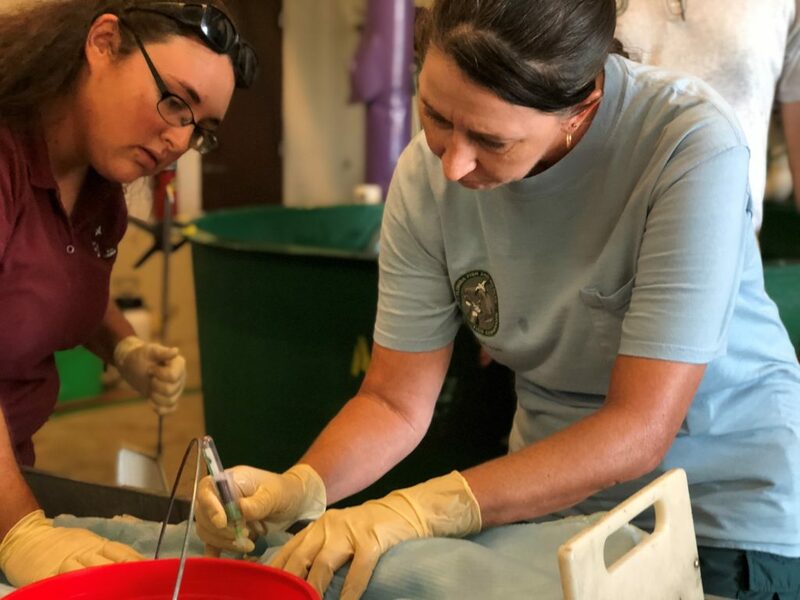 Blood samples are currently being analyzed by the University of Florida Veterinary Lab and the Ruskin Tropical Aquaculture Laboratory, UF IFAS. Study results will be utilized in coordination with other study components investigating tournament mortality to update FWC fish care guidelines to provide Florida bass anglers with live-well best management practices that they can readily implement during summer months. Dr. Richard “Ed” Matheson Jr., an Associate Research Scientist at the Fish and Wildlife Research Institute (FWRI), is retiring after 32 years with the Institute. A Masters from the College of William & Mary and a Ph.D. from Texas A&M University provided Ed with the basis for a career focused on the systematics and ecology of fishes. Over the years, his research interests have included Gerreid systematics, seagrass-associated fishes, fishes of tidal-rivers, fish community structure in Florida Bay, seagrass die-offs, Everglades restoration, and fishes of the West Florida Shelf. Starting with FWRI St. Petersburg in 1987, Ed has seen the Institute transition through several agencies and name changes to become what it is today. Initially hired into the Coastal Zone Management group with the Fish Biology program, Ed became the chief ichthyologist for the Fisheries-Independent Monitoring (FIM) program in the late 1990s. With FIM’s statewide, comprehensive sampling, rare or difficult to identify species are frequently encountered and they invariably come to Ed for verification. Ed is seen here field sampling in Florida Bay. The accurate identification of specimens is vital to evaluating distribution and abundance trends of native and exotic species. Ed has been instrumental in developing, maintaining and ensuring the near perfect fish identification proficiency of FWRI staff. He regularly creates and presents fish identification training sessions that focus on key sportfish and difficult to identify species groups like gobies, mojarras and sunfishes. His sessions always include a presentation, access to slides and identification keys, and typically include a ‘hands-on’ component that reinforces what staff learned in the presentation. Ed’s fish identification contributions beyond FWRI have been equally important. He frequently confirms identifications of specimens being cataloged in the Ichthyology Collection of the Florida State Board of Conservation and receives requests for assistance from other groups such as FWC Law Enforcement. The professional impact of Ed’s work at FWRI is immeasurable. He has been the lead author on five peer-reviewed manuscripts and he has co-authored over 20 manuscripts and over 10 reports. He has served as adjunct faculty at the University of South Florida (USF) and as a graduate committee member for students at USF and the University of Central Florida. Ed has participated in innumerable one day estuarine sampling trips, eight multiday research cruises, and dove in the Johnson Sea-Link submersible to 1,100 feet. He is a member of the American Society of Ichthyologists and Herpetologists, American Fisheries Society and Sigma Xi. Ed has served as a reviewer for scientific journals including Bulletin of Marine Science, Estuaries, Southwestern Naturalist and Fishery Bulletin. Ed is one of the friendliest and most approachable scientists at FWRI. His sense of humor, pleasant demeanor, and professional expertise have made him an invaluable and irreplaceable asset to FWC. Best Fishes, Ed! We will miss you. Red tide often kills fish, but when the concentration of Karenia brevis reaches around 100,000 cells per liter, it can also kill sea turtles, birds, dolphins and manatees. In Florida, we have been documenting stranded (i.e., dead, sick or injured) sea turtles since 1980. 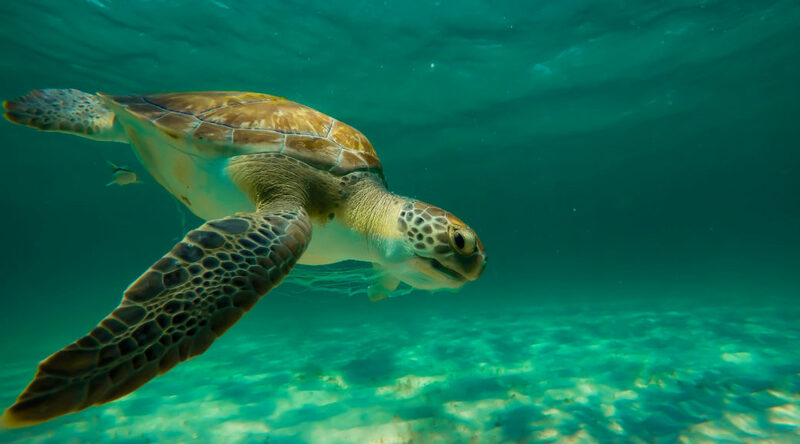 We have documented unusually large numbers of stranded sea turtles coincident with red tides primarily along the Gulf coast (especially in the southwest) but also along a portion of the Atlantic coast (Brevard County). These strandings are typically adult and large immature loggerheads and Kemp’s ridleys, and small immature green turtles and hawksbills. Stranding data modeling and sampling of strandings to determine brevetoxin concentrations all indicate that red tides mostly kill loggerheads and Kemp’s ridleys. There are almost no strandings attributed to red tide during some years but there are many hundreds attributed to red tide during other years. The latest red tide event began in southwest Florida during November 2017. Since then, we have attributed 589 stranded sea turtles (252 loggerheads, 265 Kemp’s ridleys and 72 green turtles) to that red tide bloom — the largest number of stranded sea turtles we have ever attributed to a red tide. The next largest groups of these stranded sea turtles were documented during 2006 (N = 345), 2003 (N = 230), and 2005 (N = 223). Gags (Mycteroperca microlepis) support extensive commercial and recreational fisheries in the eastern Gulf of Mexico. A 2016 stock assessment did not support earlier assessments that indicated that gags are currently overfished and continue to undergo overfishing (South East Data Assessment and Review 33 update). Considering the status of Gag in the eastern Gulf of Mexico, it is especially important to improve understanding of its juvenile recruitment processes. Study area of polyhaline seagrass habitats sampled in estuarine systems in the panhandle (St. Andrew Bay, Apalachicola Bay), Big Bend region (St. Marks, Econfina, and Steinhatchee), and peninsula (Tampa Bay and Charlotte Harbor) of Florida, USA (Schrandt et al. 2018). Past research has shown that juvenile Gags generally occupy structured polyhaline (18-30 practical salinity units) habitats such as seagrass beds and oyster reefs for several months before emigrating to nearshore reefs (Figure 1). The reliance of Gags on estuarine nurseries, combined with a brief period of estuarine occupancy, greatly facilitates the accurate characterization of the strength of juvenile recruitment. A comprehensive examination of long-term (10+ years) FWC/FWRI fisheries-independent data was conducted to characterize habitat selection and recruitment of juvenile Gags. Results from Apalachicola Bay, Tampa Bay and Charlotte Harbor habitat suitability analyses indicated that juvenile Gags selected polyhaline habitats with sloping bottoms and extensive seagrass coverage. These analyses indicated that the near shore, deeper water polyhaline seagrass habitats had been under sampled (Switzer et al. 2012). 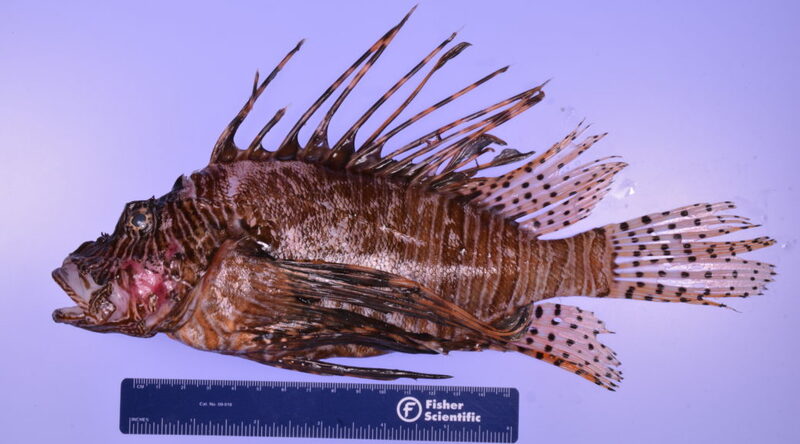 A multi-gear survey (183-m haul seine and 6.1-m trawl) was designed to supplement long-term, fisheries-independent survey data on estuarine-dependent reef-associated fishes. The supplemental survey design specifically considered juvenile Gag recruitment ecology and thus targeted the deep, polyhaline (>18 psu) seagrass habitats that are used by age-0 Gags. Potential sampling sites were limited to generally polyhaline waters that contained at least 50% bottom coverage of seagrass, had a measurable slope and were between 1.0 and 7.6 m deep. Gag begin their life offshore in a pelagic environment where they spend their first 30-60 days. Eventually they settle out onto shallow water seagrass beds, where they spend the summer months feeding and growing. In the fall they migrate to nearshore hard-bottom habitat. As they mature, they eventually migrate to deeper water reefs and as mature adults they form spawning aggregations and spawn during the winter months. Gag are hermaphrodites. They are born as females and as they grow eventually transition to be male. This supplemental sampling was initiated in 2008 and polyhaline seagrass beds were sampled by bottom trawls (6.1-m otter trawl) and haul seines (183-m haul seines) in seven estuaries along Florida’s Gulf coast (Figure 2). Apalachicola Bay, Charlotte Harbor and Tampa Bay have been routinely sampled since the late 1990s; St. Andrew Bay and three estuaries in the Big Bend region between Cedar Key and Cape San Blas (St. Marks, Ecofina, and Steinhatchee), where Gag recruitment had been documented, were added for this study and have become part of the continuing survey. Analyses of the data collected in the long-term and supplemental surveys (2008-2012) demonstrated the effectiveness of this sampling approach. The size ranges of Gags collected in both studies were similar, but age-0 individuals were captured more frequently and the catch-per-unit-effort (CPUE) was significantly higher in the supplemental surveys (Switzer et al 2015). These analyses will not only enhance our understanding of recruitment processes for juvenile Gags in the eastern Gulf but will also provide valuable insight into observed patterns of habitat use and the relative importance of various habitat types. Nevertheless, additional information on habitat availability, combined with a better understanding of the estuarine systems’ relative contributions to nearshore Gag populations, will be required to maximize the utility of these data in predicting fisheries productivity. Strong Gag year-classes have been documented as persisting as the fish grow and enter the fishery. Accordingly, accurate estimation and prediction of juvenile recruitment is critical to the effective assessment and management of at-risk fisheries. Variability of estuarine nekton assemblages is valuable as an indicator of environmental quality. Therefore, the patterns discerned from the supplemental sampling have important implications for fisheries managers. Staff banding and tagging a Florida sandhill crane captured in a strip mall parking lot in Seminole County. In 2017 we began a project examining how Florida sandhills are using urbanized areas. We are currently tagging adult cranes with cellular GPS transmitters in suburbs and developed areas. The transmitters collect GPS locations at 30-minute intervals and are uploaded to us daily. We are also tagging Florida sandhills in rural and conservation areas to help us better understand survivorship, productivity, and habitat use along the urban gradient. 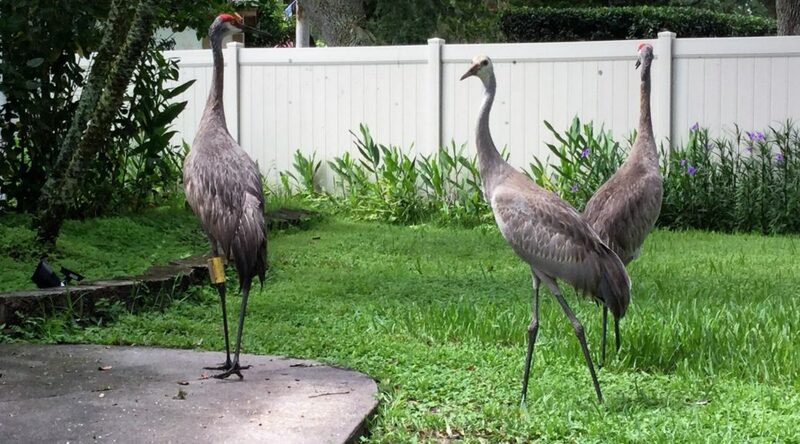 Preliminary data show that some urban cranes solely inhabit suburban or developed areas. They use suburban yards, grassy roadsides, golf courses, and open areas around colleges and hospitals as uplands, and retention ponds or lake edge for wetlands. However, most urban cranes regularly moved between rural areas or conservation lands to suburban areas to meet their daily needs. Preliminary movement data for Florida sandhills tagged on conservation lands show that all individuals use some man-made habitat daily, either a mowed area near a road, a yard with a bird feeder, or improved pastureland. We will continue to tag cranes during 2019. 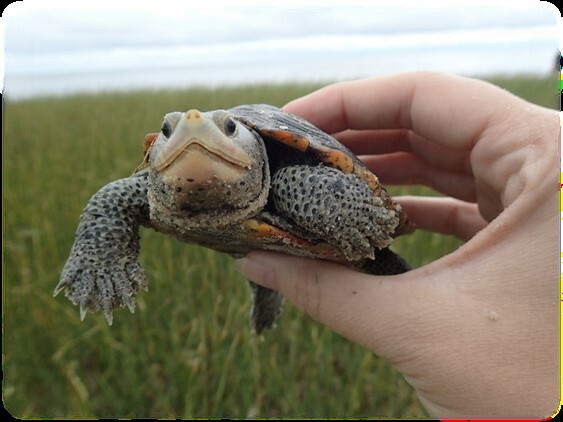 The diamondback terrapin (Malaclemys terrapin) is a once common estuarine turtle that experienced serious declines a century ago and has declined further in recent decades due to numerous pressures including habitat loss and drowning in crab traps. The Florida coastline represents approximately 20% of the species range and is home to five of seven subspecies, three of which occur only in Florida. However, little is known about the status and distribution of diamondback terrapins in Florida. With funding from a State Wildlife Grant, FWRI is collaborating with partners statewide to conduct a biological status assessment of the diamondback terrapin in Florida. 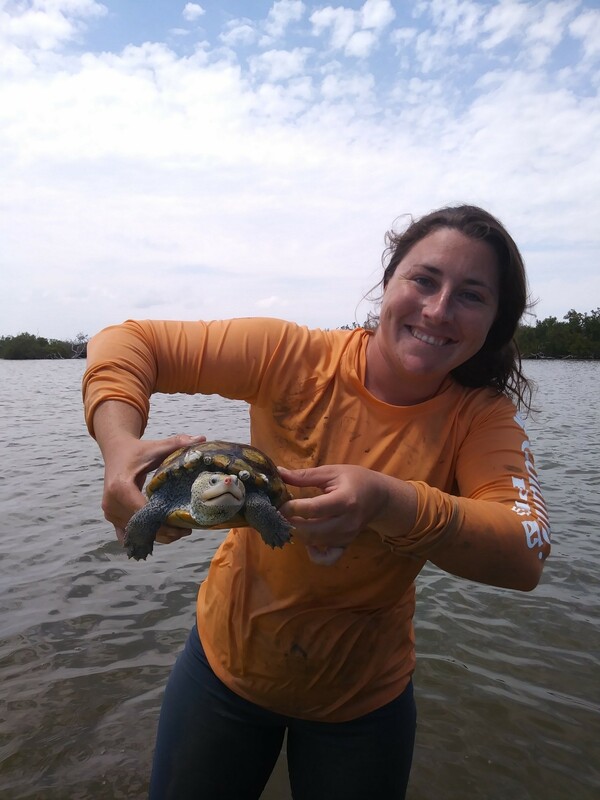 The project includes population assessments in three locations with known terrapin populations (Banana River, Florida Bay and the middle Florida Keys), and, where possible, we are also helping facilitate population assessments and surveys by partners elsewhere in the state. Another major component of the work is collection of tissue samples from terrapins statewide for a genetic analysis to assess validity of the currently recognized subspecies taxonomy and, where possible, to conduct population-level genetic analyses to assess effective population sizes, gene flow and possible signs of inbreeding depression. 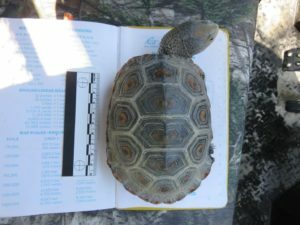 Other efforts include gathering and consolidating existing data from partners to update the known distribution of terrapins statewide and using these data to develop a spatial model to quantify habitat availability. Finally, we will estimate the magnitude of past and future population reductions based on historic and projected future habitat losses. To date we have developed numerous partnerships, mapped > 5,500 individual sightings, collected > 300 tissue samples for genetic analysis, completed one season of mark-recapture work in the Banana River, and will begin fieldwork in Florida Bay and the Florida Keys in November 2018. 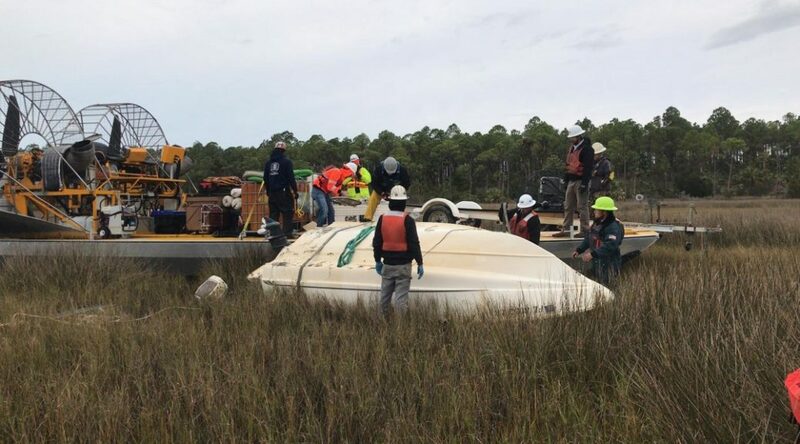 Major partners include Eastern Florida State College; Sanibel-Captiva Conservation Foundation; the US Geological Survey’s Wetland and Aquatic Research Center; University of Florida’s Department of Wildlife Ecology and Conservation, Florida Sea Grant Extension, Nature Coast Biological Station, and Florida Museum of Natural History; Florida Department of Environmental Protection’s Indian River Lagoon and Tomoka Marsh Aquatic Preserves; North Florida Land Trust; Florida Audubon; Flagler College; Brevard Zoo; and FWC’s Fisheries Independent Monitoring, Habitat and Species Conservation Section, and Florida Keys Wildlife Environmental Area; as well as many dedicated volunteers, students and citizen scientists. 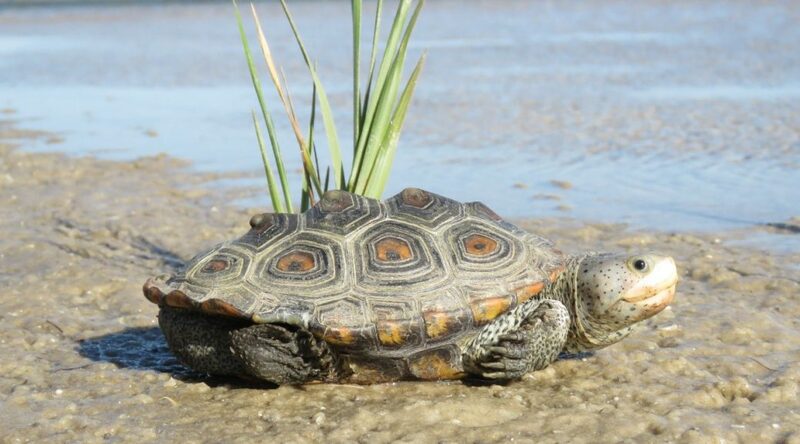 Please send diamondback terrapin sightings to Traci.Castellon@MyFWC.com. 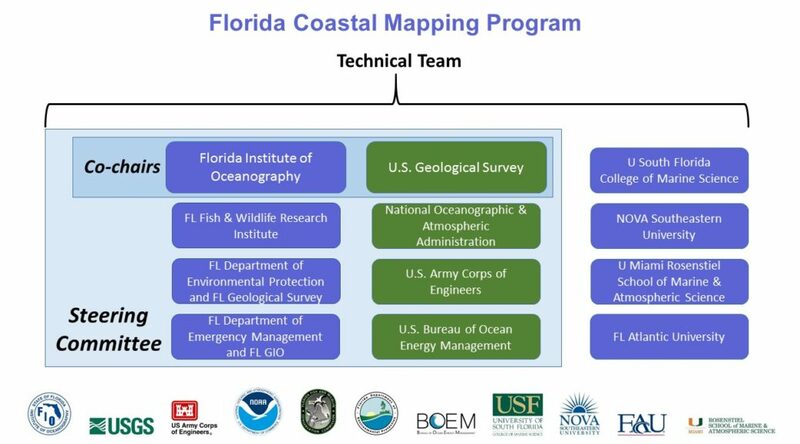 The Florida Coastal Mapping Program (FCMaP) was initiated in 2017 as a coordinating body of Florida State and Federal partners who have a goal of achieving consistent, state-wide, high resolution seafloor data for Florida’s coastal zone in the next decade. These data will provide critical baseline information to support a range of applications including coastal security, resource management, fisheries, storm surge modeling, boating safety, and tourism, as well as future uses, such as renewable energy and offshore aquaculture. An inventory of existing high-resolution seafloor mapping data collected on Florida’s shelf was undertaken by a technical team comprised of FCMaP partners. The footprints and metadata for 345 datasets were compiled and assessed on whether they met certain criteria such as age, spatial coverage, and resolution. For the inventory, gap analysis, and prioritization process, the Florida peninsula was separated into six regions based on geomorphological characteristics: Panhandle, Big Bend, West Peninsula, Keys, Southeast, and Northeast. In consideration of differing sensor and survey design requirements, results in each region were further divided into two depth ranges: nearshore (shoreline out to 20 meters) and shelf (20 meters to the continental shelf break). 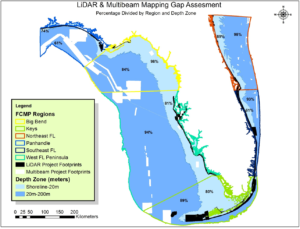 The gap analysis revealed that less than 20% of Florida’s coastal waters have been mapped using modern bathymetric methods (multibeam sonar or aerial lidar). The overall lack of high-resolution seafloor mapping for Florida is surprising given that Florida’s coastal areas generate more than $30 billion dollars a year in revenue, which is the 2nd highest in the nation. The region with the least amount of high resolution data is the Big Bend nearshore where less than 3% has been mapped with modern technologies. Where any data do exist, they are often lead-line measurements from the late 1800s, with one data point per 100 m2. The data disparity between regions is large and by comparison, the best-mapped region, Southeast, FL, has modern bathymetry for 86% of its area. The reason for the discrepancy is two-fold; Southeast FL is very densely populated, and the shelf is extremely narrow in comparison with the Big Bend. 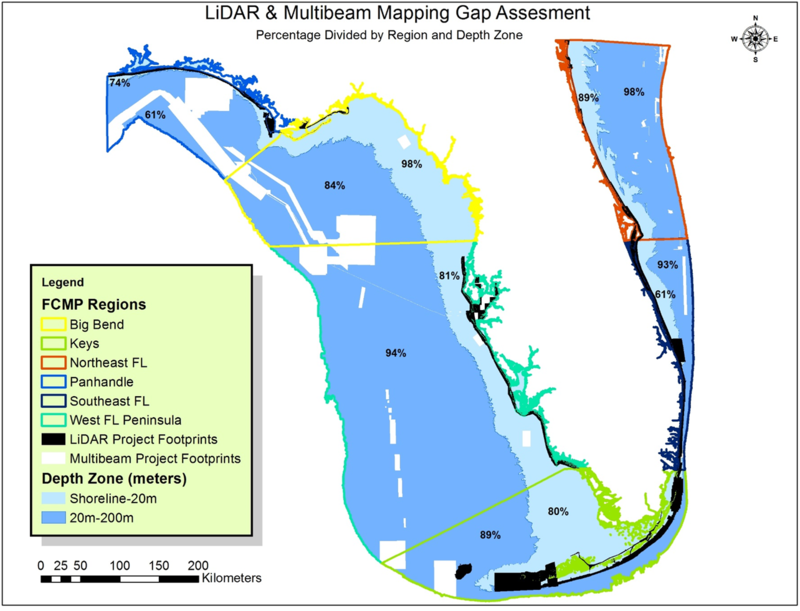 High resolution mapping gap assessment results for inshore and deeper waters for six subregions around Florida. The best mapped area are shallow waters of the SE Florida region where 39% of the seafloor has been mapped. FCMaP is presently soliciting input from managers, planners, and decision-makers to prioritize coastal and seafloor mapping needs. A mapping prioritization tool developed by NOAA (Kendall et al., 2018; Battistia, et al., 2017) was adapted to be a FL-specific application and is being rolled out region by region via a series of stakeholder workshops. Representatives from multiple federal, state, academic, and private entities are introduced to FCMaP and discuss the relevance of high resolution seafloor maps to their regions science and management needs. A single representative from each agency is then tasked with populating the tool with input from their colleagues Analytics are then run on to generate a cumulative prioritization for the region that can be displayed as a map product, and the associated justifications for the mapping need statistically evaluated. 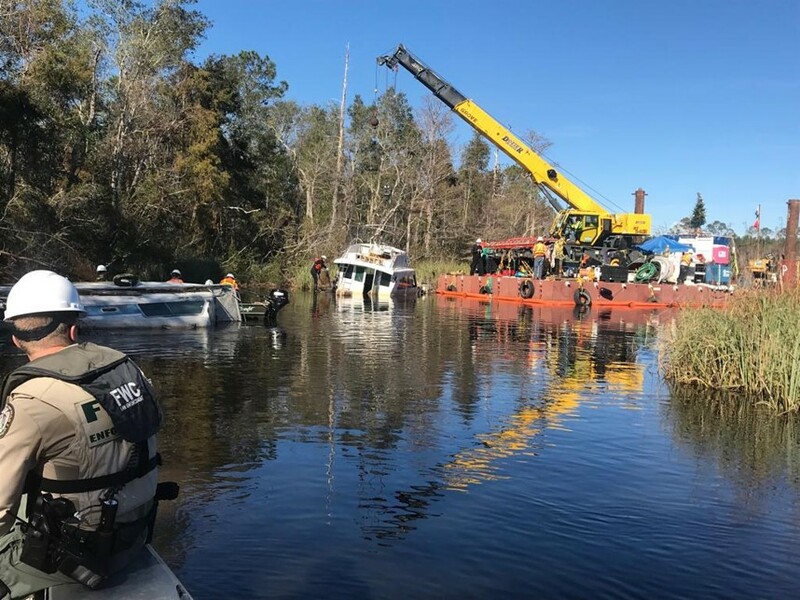 To demonstrate the value of a coordinated approach, FCMaP partners have also engaged in a demonstration seafloor mapping effort in the Big Bend Region. High resolution bathymetry will be collected for select key management areas. These data will be some of the first modern bathymetry collected in this region and the map products will contribute to management efforts such as fisheries stock assessments, seagrass distribution, and oyster reef occurrences. In addition, outcomes from the demonstration will be used used to investigate the influence of the variable geologic framework on coastal response and evolution, providing both enhanced management capacity and science for improved understanding of coastal behavior in this little-understood region of the eastern Gulf of Mexico. Kendall, M.S., K. Buja, and C. Menza. 2018. Priorities for Lakebed Mapping in the Proposed Wisconsin-Lake Michigan National Marine Sanctuary. NOAA Technical Memorandum NOS NCCOS 246. Silver Spring, MD. 24 pp.